Rotary's task of eliminating polio. Rotary International has been the leading organisation, together with the Bill Gates Foundation, in the task of eliminating polio throughout the world - we are nearly there! The recent World Polio day was marked throughout the globe and a special ceremony which involved the planting of crocuses took place at Stoke Mandeville. Robin & Jane Mason were among approx. 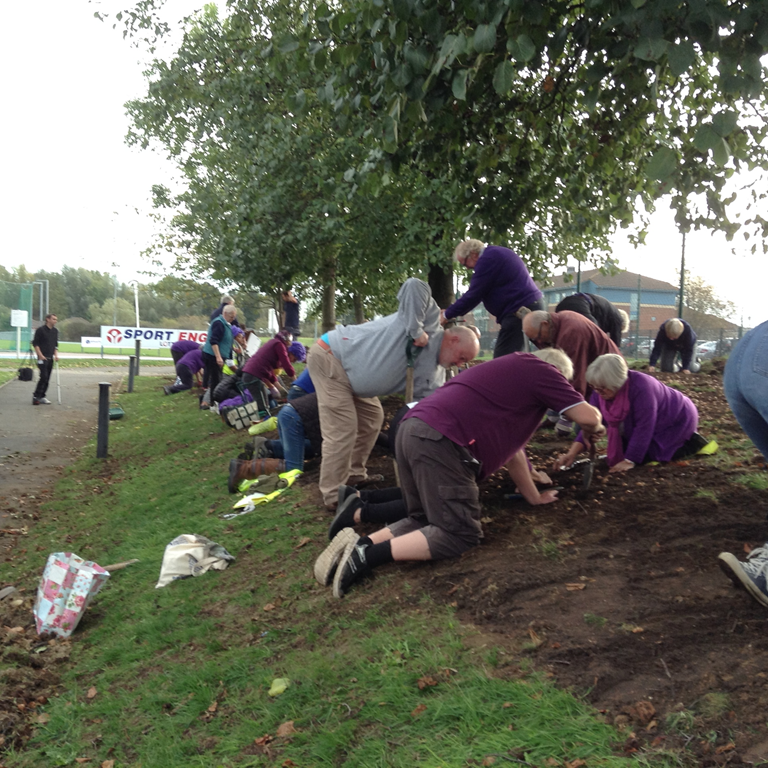 60 Rotarians & friends who planted 25,000 purple crocus corms at Stoke Mandeville Stadium to create awareness of the Rotary 'End Polio now' campaign, to rid the world of this terrible disease. This was significant as the planting was carried out on World Polio Day, 24th October. Stoke Mandeville Stadium is the home of the British Wheelchair Sports foundation, "Wheelpower", of which Robin is an ambassador. It is also a partner of Rotary International in G.B & I.